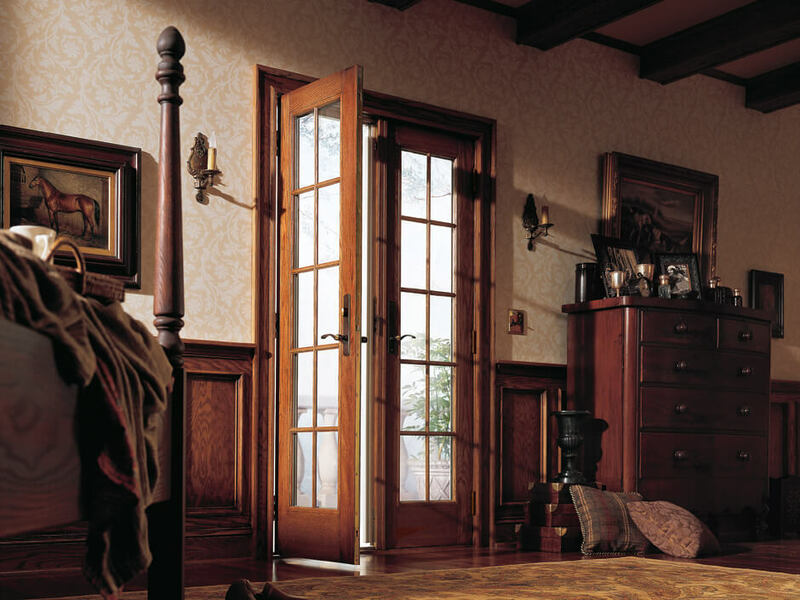 Renewal by Andersen proudly serves Easton, PA with the best windows, entry door, and patio doors for you and your home. We’re the region’s most trusted name in replacement windows because we’re backed by over 100 years of experience perfecting the home improvement experience. 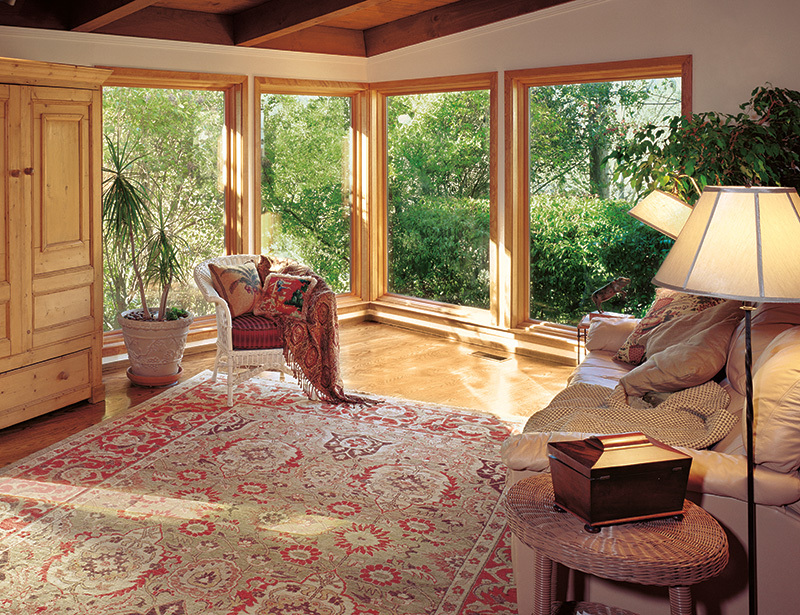 Plus, our windows withstand the Philadelphia climate better than any other for years to come. Learn more about our products and professionals when you schedule your obligation-free in-home consultation today. All windows are made with our proprietary composite material Fibrex®, which combines the strength of wood and vinyl for a weatherproof seal. Your new window glass and frames are backed by a 20-year warranty to open and close over time just as well as the day they were installed. Choose up to 49 interior and exterior color combinations, grille styles, configuration options, and hardware finishes for your perfect look. Regardless of your final design, our windows make the most of your view with wide panels of glass and narrower frames than a standard wooden or vinyl window. 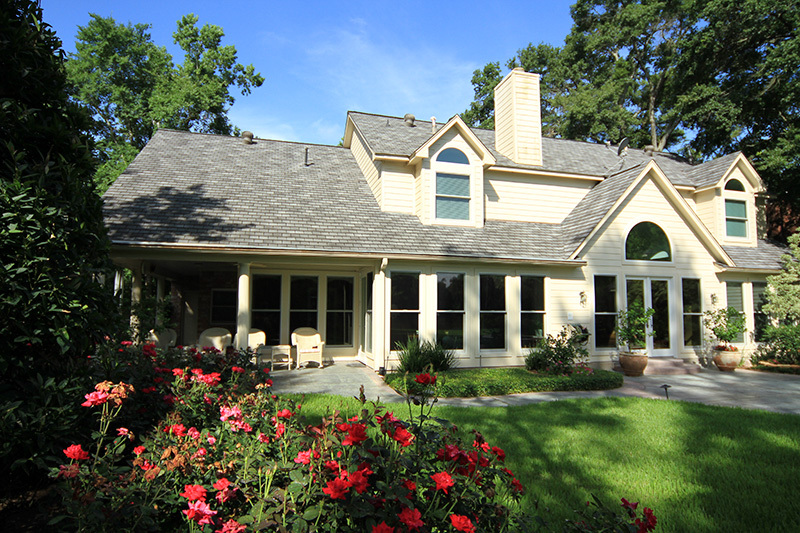 Our full-service guarantee means we own and oversee every stage of the window replacement process. That way, we offer a level of one-company accountability no other company can reach, and allows us to make sure you’re getting what you want. A wide variety of design and configuration options in each category help you make any window your own, while dedicated professionals ensure unmatched performance. Every window installation begins with a comprehensive in-home consultation to help you choose the window features that best complement your home and lifestyle. Our design consultants come directly to you with additional information, samples, and swatches so you can consider all the possibilities. Once you’ve made an informed decision, our project technician and installation teams take care of the rest. Your custom home improvement is then installed and insulated for long-term use with energy efficient materials. 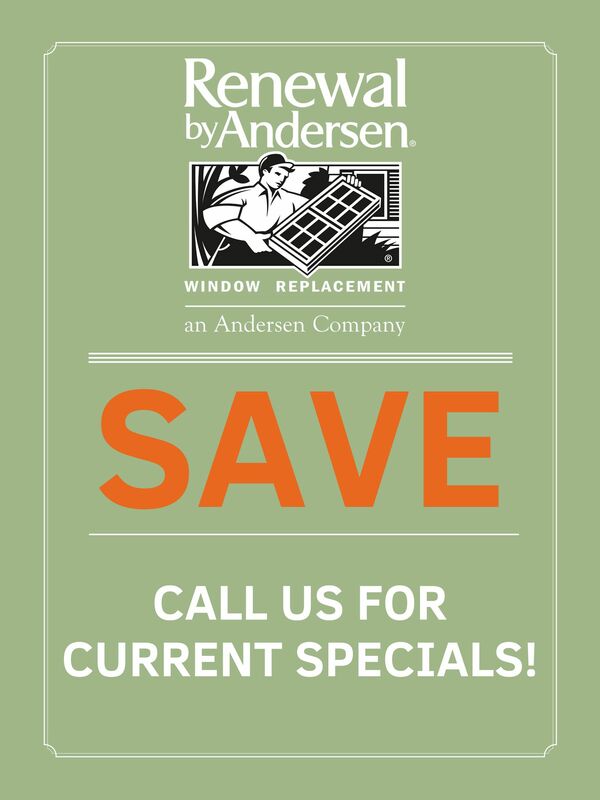 Regardless of your choice of color combination, grille, hardware finish, and function, all Renewal by Andersen windows are backed by a 20-year guarantee to stand the test of time. 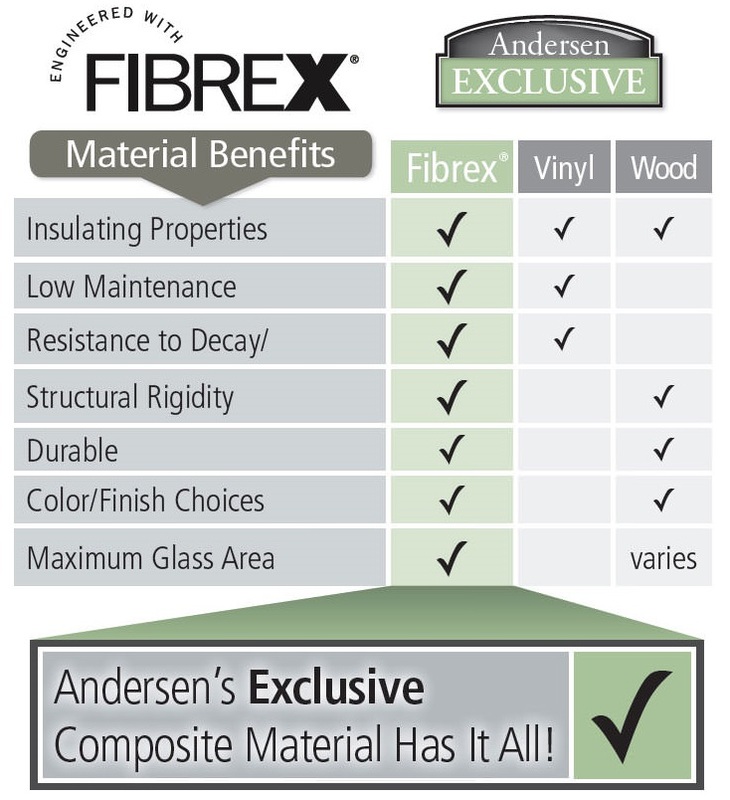 Renewal by Andersen window frames are Fibrex®: our revolutionary composite material. 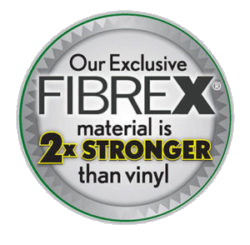 Made with 40% reclaimed wood fiber by weight and reinforced with fiberglass polymers, Fibrex® combines the best qualities of wooden and vinyl windows. 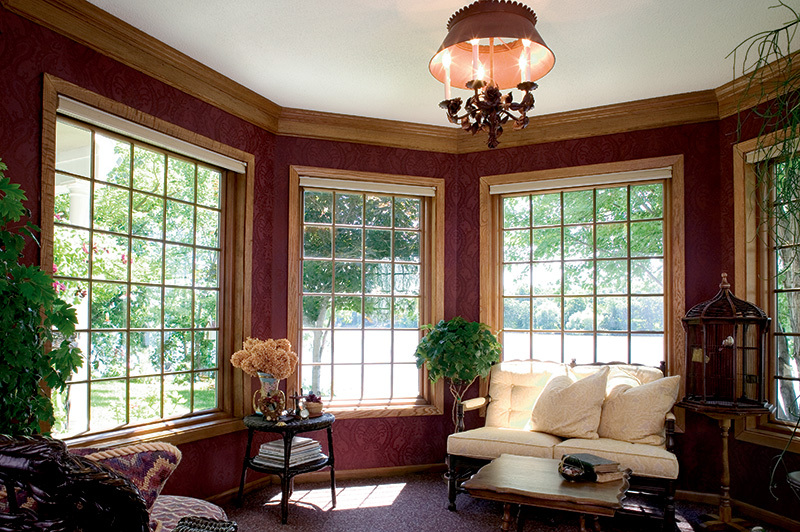 This means our windows can feature more glass with narrower frames—making the most of your Pennsylvania view. 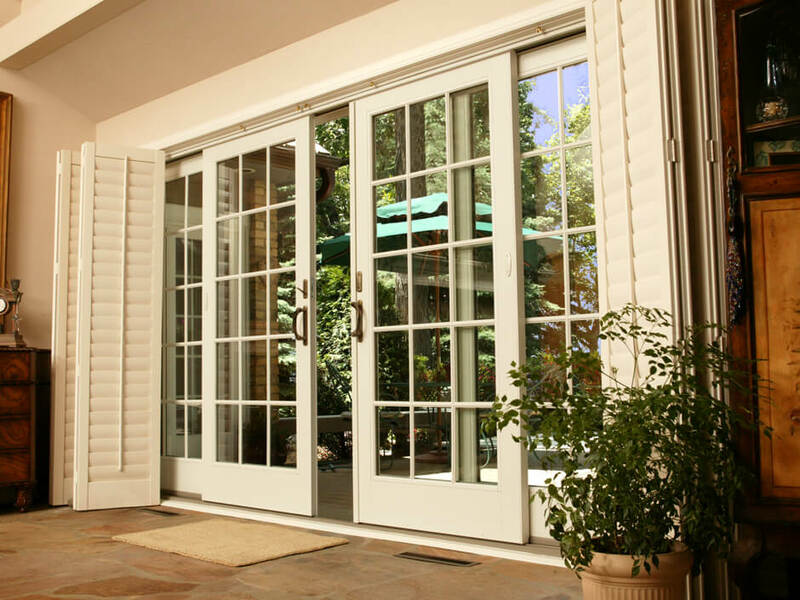 You can add style, value, and energy efficiency to your Philadelphia area home with a custom patio door. Renewal by Andersen doors are available in both hinged and sliding varieties—in addition to a variety of design choices to complement any home. Consider a French door in either a hinged or sliding configuration to match a historical style, or accentuate a modern look with a contemporary sliding glass door for maximum light and scenery. All patio doors provide easy, durable access to the outdoors while saving your money on heating and cooling costs over time. Renewal by Andersen patio doors are truly made to fit you with a range of style options at each stage. Choose interior and exterior colors, grilles, hardware, and configuration in every type. Plus, our team of professionals ensure exact sizing for long-term, energy efficient performance. 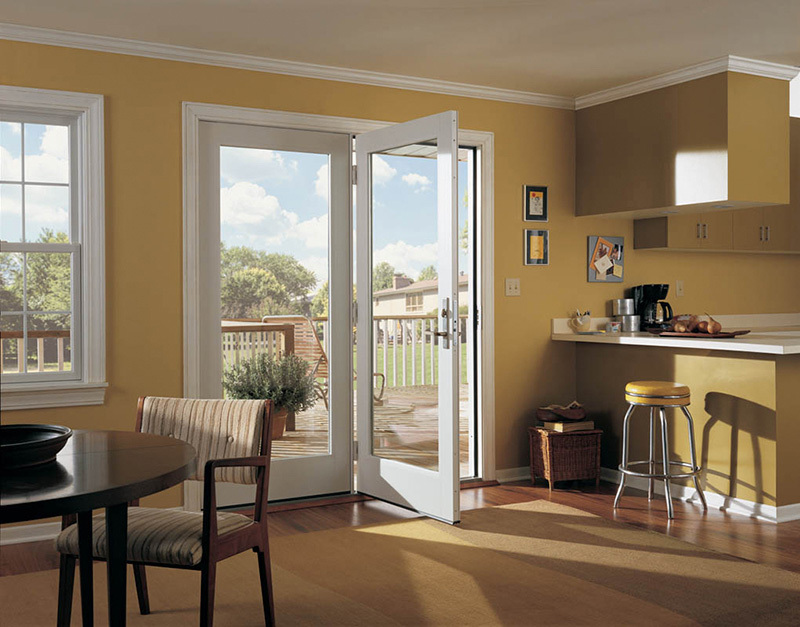 Learn more about each style of patio door. Call Renewal by Andersen Easton, PA to schedule your in-home consultation today. Our professionals are committed to simplifying every step of the process, so you can enjoy your new home improvement sooner than you think. Contact us to learn more about our hassle-free, 4-step process.